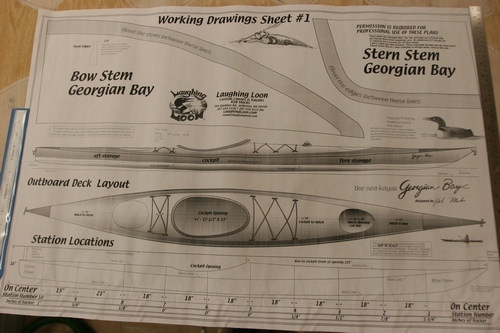 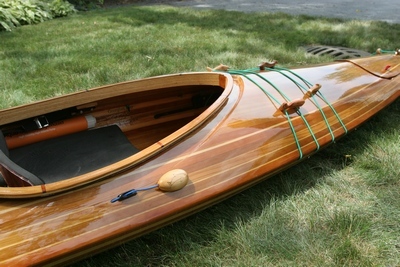 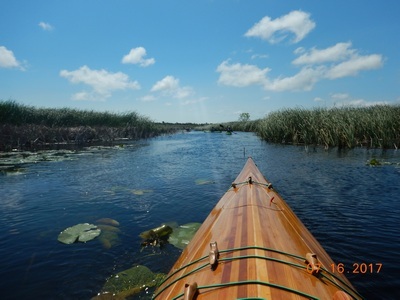 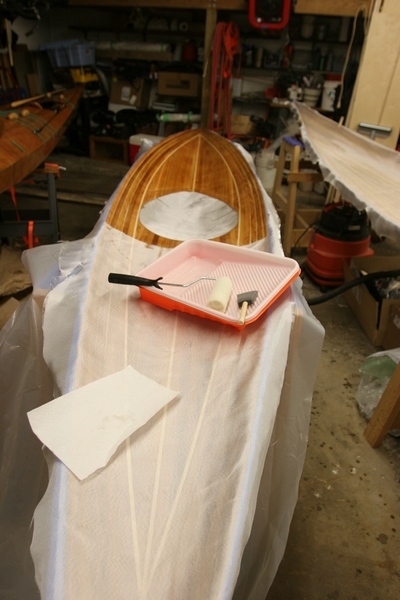 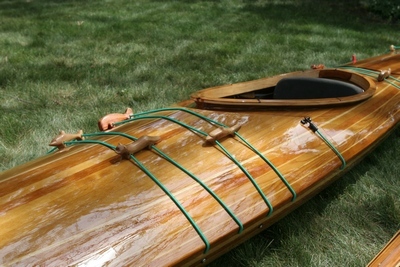 The "Georgian Bay" a Cedar Strip, fiberglass & epoxy Kayak. 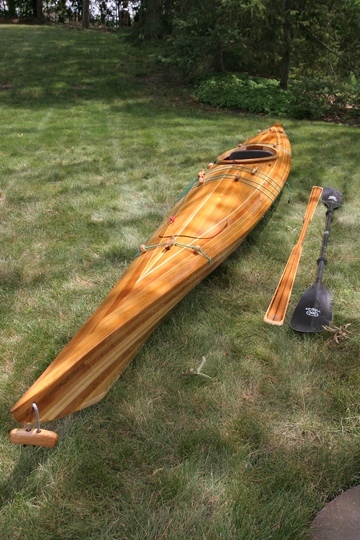 16'6" with 24" width, about 40 lbs. 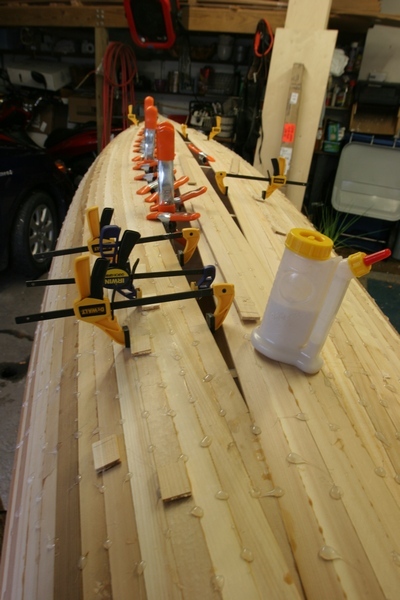 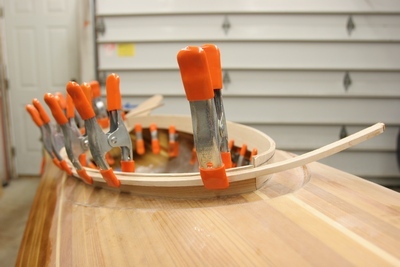 from the bow, the Stations setup on the strongback, trial setup, using clamps to allow for alignment. 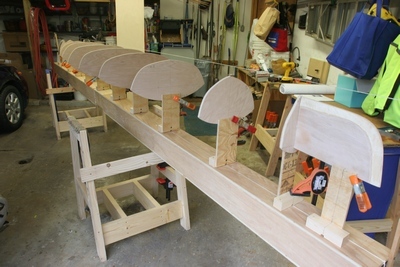 lots of clamps to hold the plank in place, removed & another strake added, without having to wait for glue to dry. 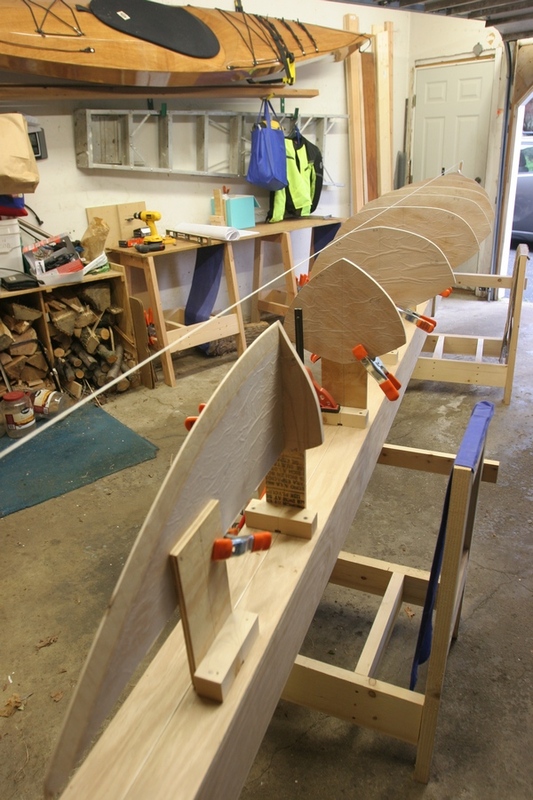 BOW view: Keel planks in place, test fitting & heat bending next strake. 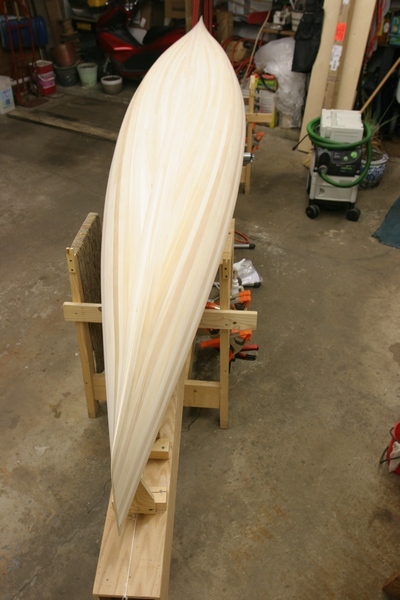 Stern view: second strake test fit. 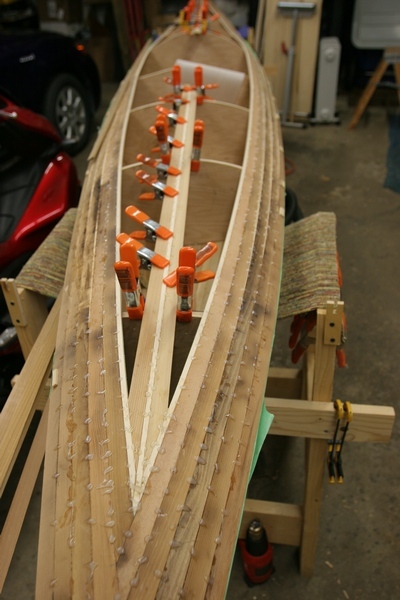 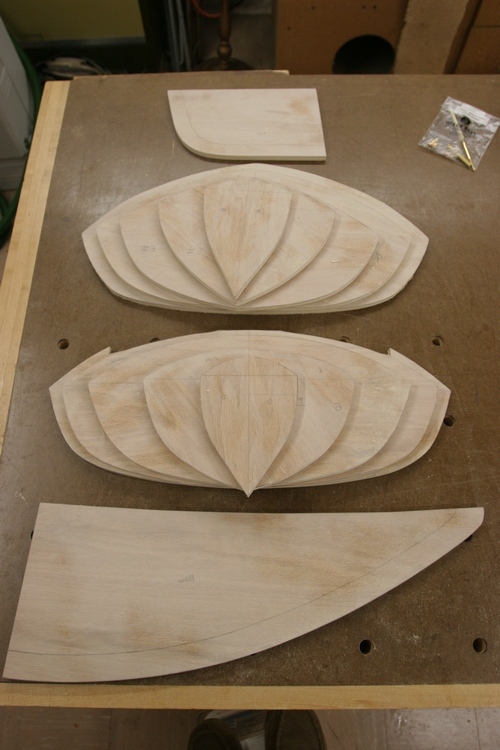 The wood blocks are temporary clamping points. 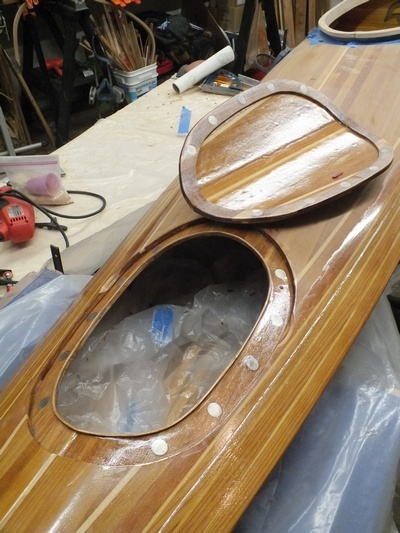 Fore Deck hatch, the hatch is held in place with rare earth magnets, provides very clean deck lines. 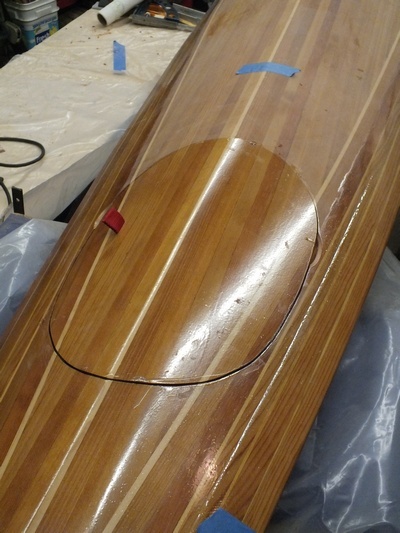 Final finish yet to come. 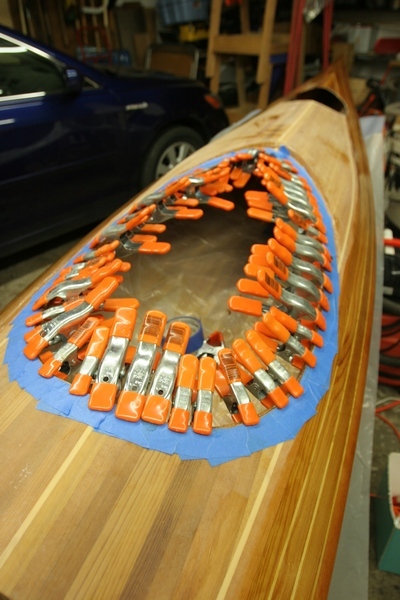 Kayak #2 finished, Wood Greenland eskimo paddle along side. 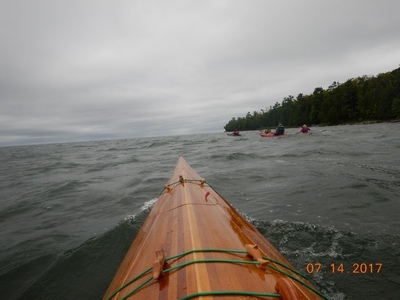 Why I kayak - new skills, beautiful views, great photo op's, & the community of paddlers that come to this gathering.